Moore was able to garner robust media attention for the film despite Trump’s constant prominence across all media. He appeared on MSNBC, HBO, and other places to promote the film, and he remains a popular figure in some corners of the far left. On MSNBC, Moore said Trump could be the last president of the U.S., arguing his administration may bring the country into total chaos. The movie itself did get some attention for its comparison of Trump to Adolf Hitler. In a year where some documentaries have performed well at the box office, some have questioned whether the Trump administration is the right topic to drive audience interest. "With documentaries, it often just comes down to the subject matter," comScore analyst Paul Dergarabedian told the Wrap. "With a film like ‘RBG’ you had a very positive, inspiring story about a Supreme Court Justice, and with so much attention paid to the current political divide, each type of film has to succeed on its own merits while trying to appeal to those beyond its core audience." 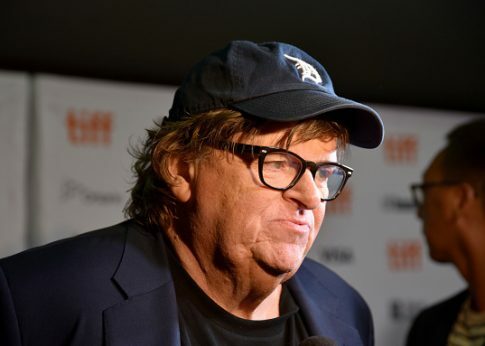 This entry was posted in Politics and tagged 2016 Election, Michael Moore, Trump Administration. Bookmark the permalink.